Fidget spinners just not challenging enough for you? 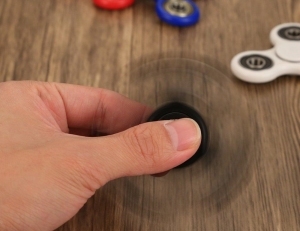 Maybe you need a fidget toy that challenges your brilliant mind. when occupied. Before fidget spinners, magnetic balls, and squeeze toys were popular, lots of us kept a practice lock and set of lock picks nearby to help keep our brains limber. When trying to work out a complicated solution to a problem or overcoming a mental block, distracting your mind while keeping it engaged and entertained can get you over many mental hurdles. Sometimes a brain needs something different to do and lock picks make excellent fidget toys for brilliant minds. I keep a small set of lock picks and a few practice locks in my desk drawer. I’ve had these in my desk long before fidget toys were cool. There have been many times when I’ve been staring at my computer screen but not making much progress on the project of the day. A few minutes picking a lock was the energizer I needed to get my bored brain moving again. Giving your brain a different kind of challenge can refresh you, get your mind out of a rut, and get you back to solving problems that had previously been stumbling blocks. Picking locks is a puzzle solved with mental and physical dexterity. No matter how long you’ve been picking locks, there is always a “WOW” when the lock finally opens. The mental and physical challenge combined with that exhilarating feeling of success gets you ready to tackle challenges again. Need to refresh a stuck but otherwise brilliant mind? Lock picks are the ultimate fidget toy for the brilliant mind.